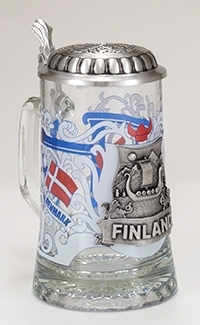 The colors red/white/blue are intermixed on this high-fired body design that features the flags of Finland & Denmark on the left side and the Swedish & Norwegian Coats of Arms on the right side, along with a Viking helmet front and center. 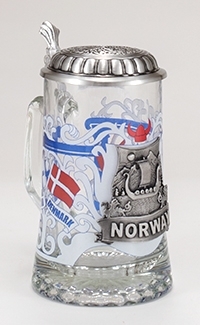 The center of the stein features a beautifully detailed landscape embossed in pewter in which a Viking ship at sea is in the foreground, snow-capped mountains are seen in the background with rising sun. 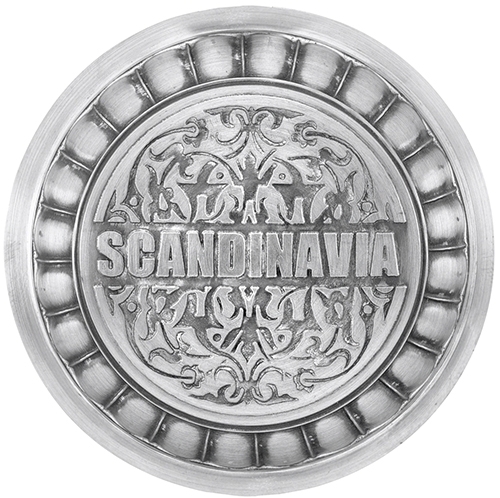 The word FINLAND is prominently featured on this appliqué. 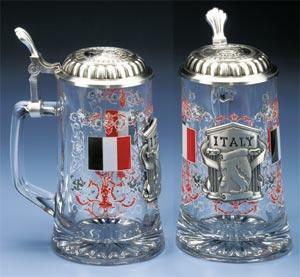 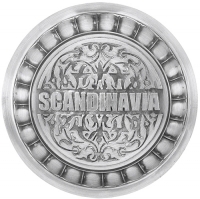 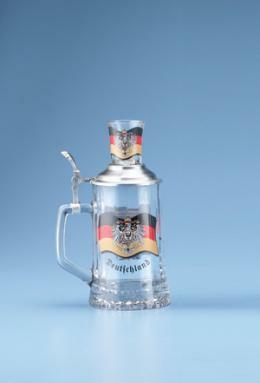 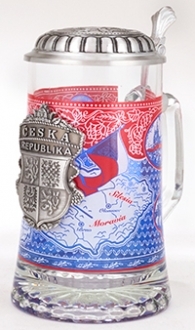 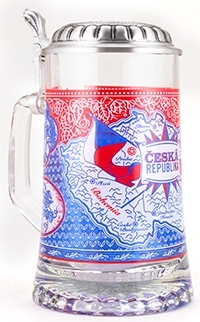 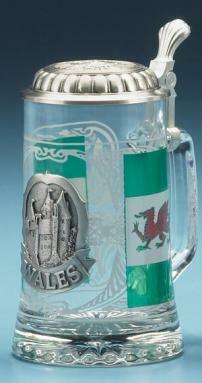 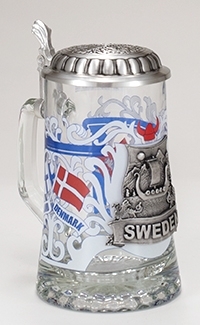 The lid of the stein reads SCANDINAVIA amidst a filigree design.